SmartPalate System - Capital Area Speech & O.T. Welcome to Austin’s First Smart Palate Enabled Clinic! 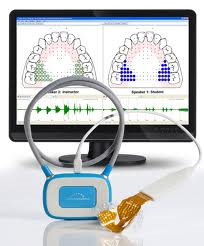 The “ASHA Leader” ranked the Smart Palate as the 4th most innovative technology likely to revolutionize treatment of articulation disorders. Capital Area Speech is excited to bring this technology to Austin. Capital Area Speech Therapy is currently using the Smart Palate/Complete Speech system as a tool in some types of articulation therapy. Contact us to see if you or your child may be a candidate for this system.